O God of searing truth and surpassing beauty, we give thee thanks for Clive Staples Lewis whose sanctified imagination lighteth fires of faith in young and old alike; Surprise us also with thy joy and draw us into that new and abundant life which is ours in Christ Jesus, who liveth and reigneth with thee and the Holy Spirit, one God, now and for ever. Amen. O God of searing truth and surpassing beauty, we give you thanks for Clive Staples Lewis whose sanctified imagination lights fires of faith in young and old alike; Surprise us also with your joy and draw us into that new and abundant life which is ours in Christ Jesus, who lives and reigns with you and the Holy Spirit, one God, now and for ever. Amen. Clive Staples Lewis ("Jack" Lewis to his friends) was a tutor and lecturer at Oxford University, and later Professor of Medieval and Renaissance English Literature at Cambridge University. In the judgment of many, he is the most popular and most effective explainer and defender of the Christian faith writing in English in this century. He tried to make a point of avoiding disputes on matters where Christians disagree, and defending those beliefs which they hold in common. His work was valued by many Christians of widely differing backgrounds: Anglican, Baptist, Methodist, Pentecostal, Presbyterian, Roman Catholic, etc. 1) MERE CHRISTIANITY. This originated as a series of fifteen-minute radio talks addressed to a very general audience, undertaking to give a general account of Christian belief. It begins with a discussion of some reasons for believing that God exists, and why it matters that He does, and then continues with an account of the redeeming work of God in Christ. It includes a discussion of Christian moral standards, and Trinitarian theology. Throughout, the author undertakes to confine himself to the common Christian core of belief, and to steer clear of disagreements between denominations -- hence the word MERE in the title. 10) THE WEIGHT OF GLORY AND OTHER ADDRESSES. Includes THE WEIGHT OF GLORY. On the promises concerning Heaven. TRANSPOSITION. (The title essay of the earlier editions.) On the indwelling of the higher in the lower. THE INNER RING. On the urge to "belong" as a temptation. AND OTHER ADDRESSES. 15) ENGLISH LITERATURE IN THE SIXTEENTH CENTURY EXCLUDING DRAMA, later named POETRY AND PROSE IN THE SIXTEENTH CENTURY. A standard reference work. Much of the material is of interest chiefly to the specialist, but someone already familiar with the doctrines on which Christians are in general agreed and wanting to understand the differences that gave rise to the Protestant Reformation will find much helpful material. I particularly recommend pages 32-44, 162-165, 177-180, 181-192, 438-463. [Note: Not mentioned are two autobiographical books: A Grief Observed and Surprised by Joy. 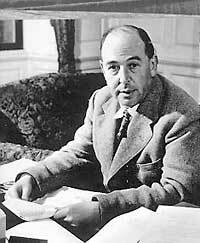 Also, several of his major works: Mere Christianity, The Screwtape Letters, The Great Divorce, The Problem of Pain, Miracles, A Grief Observed, and The Abolition of Man are available as a single boxed set. Much of A Grief Observed appears in the excellent movie Shadowlands.